Seafood is extremely popular across the state of Florida, and shellfish is practically a way of life along the Gulf Coast. Here at the Villages of Citrus Hills, we have the luxury of being located right next to the Big Bend Shellfish Trail, which is where you will find one of the best sources of fresh shellfish in the entire country. Whether your preference is for clams, oysters, blue crabs, shrimp, or stone crabs, you can find all of them as you make your way up and down the trail. But with so many options to choose from, figuring out how to best enjoy the trail can be a bit overwhelming. Let's take a closer look at what exactly the Big Bend Shellfish Trail has to offer! The Big Bend Shellfish Trail is comprised of the working waterfront communities in Dixie, Levy, Jefferson, and Taylor Counties ranging from Steinhatchee to Yankeetown. At one time, this area was better known for its fishing boats, but a 1995 ban on gill net fishing forced the local workers to evolve into shellfish harvesters. Today, you will find large piles of crab traps sitting on docks the entire way up the coast, and it isn't too hard to find the shellfish that make their way into those traps either! Scallops and Stone Crabs are probably the most sought-after shellfish you will find along the Big Bend Shellfish Trail. Both are limited in terms of fishing season and restricted to certain catch limits, which means that supplies are almost always limited, making them rather expensive. On the flip side, you will find all of the clams, shrimp, and blue crabs you could ever want throughout the salty marsh waters of the Big Bend Shellfish Trail. Because the entire Big Bend Shellfish Trail is located within a short driving distance of the Villages of Citrus Hills, each of the popular stops along the trail would be an excellent day trip for our residents. Cedar Key is probably the most popular tourist destination along the trail, and it is also a favorite day trip spot for local residents. In addition to being a beautiful island, this is also a prime spot for oysters and clams, and there are also a number of farm-to-table shellfish restaurants on the island. If you are looking for a scalloping adventure, Steinhatchee is the place to find your charter service. And that won't be hard here considering the area is filled with working shellfish boats. Another excellent destination for a Big Bend Shellfish Trail day trip is Suwannee, where you will find some of the best stone crab fishing of the entire Gulf Coast. This is also a great place to track down clams, oysters, and blue crabs as well. Whether you are looking to get out on the water and catch your own shellfish or stay on dry land and enjoy a fantastic seafood experience at a locally owned restaurant, the Big Bend Shellfish Trail can help you out either way. So if you are passionate about your shellfish, it's time to get out and start exploring the trail! We have started off 2019 with three straight months of jam-packed activities and events calendars, and the fourth month of the year is definitely poised to keep that trend going. The April calendar is full of all kinds of fun things to do around the Villages of Citrus Hills. Whether you lean more towards the social events and the educational seminars or the golf tournaments and dinner specials, there really is something for everyone happening around the community this month. Let's jump right in and check out some of the biggest events happening in April. The social calendar will kick off the month when the Sizzlin' Summer Show Series brings Mary Jo Vitale and Clark Barrios to the Activity Center Auditorium on Tuesday, April 2 at 7 pm. The Shabbat Dinner will take place on Friday, April 5 in the Garden Room. This month's meal will include your choice of Beef Brisket or Bourbon Salmon served with Garden Salad, Oven-Roasted Potatoes, Vegetables, and Carrot Cake. All of our local trivia junkies will be back in the Hampton Room on Tuesday, April 16 for another installment of Tasty Trivia Tuesday. The theme this month is "Geography," so make sure that you study your maps and state capitals before the big night. One of the biggest social events of the month will be the annual Easter Egg Hunt in the Hampton Room on Saturday, April 20. The fun will start at 9 am with breakfast and face painting, followed by a magic show at 9:30 am before the big hunt gets going at 10:30 am. This month's Speaker Series seminar will take place on Thursday, April 11 at 6 pm in the Activity Center Auditorium. Dr. Dunn and Dr. Collins from Countryside Animal Clinic will be discussing everything from hot topics in veterinary medicine to acupuncture for your pets. On Saturday, April 13, there will be an AARP Smart Driver Course at the Activity Center from 9 am to 4 pm. The course will teach things like defensive driving tactics, handling adverse weather conditions, and information on automobile technology. Lunch and Learn will also be back this month with a fascinating presentation on Cooking with Essential Oils in the Windsor Room. On top of a great discussion, there will also be delicious Taco Salads served for lunch. There will be plenty of hysterical antics on display for the April Fools Open at The Oaks course on Saturday, April 13. Beverages and lunches will be served after the round, but make sure to be careful where you sit! The Meadows and Oaks courses will also be hosting the 2019 Citrus Hills Golf & Country Club Ladies' Club Championship. This will be a 36-hole stroke play tournament that is flighted by handicap. Over on the tennis side, the Skyview Tennis Center will be hosting their monthly Free Beginners Tennis Clinic on Tueday, April 9 at 11 am. Then the big event for the month will be the 2019 Skyview Men's and Women's Club Championship Doubles Tournament on April 12, 13, and 14. Skyview Restaurant and The Grille will both be hosting Easter specials on Sunday, April 21. The Skyview menu will include options like Carved Virginia Baked Ham, Filet Bordelaise, Grouper Oscar, and Lamb Chops. Then The Grille will be serving a buffet with Carved Prime Rib, Honey Baked Ham, Lemon Chicken, and Fresh Salmon. Some of the other Skyview Restaurant specials that you won't want to miss this month include a Surf and Turf Night on Tuesday, April 2, a Southern California Wine Dinner on Tuesday, April 9, and a European Pub Night on Thursday, April 18. This month, BellaVita Spa is going to be running a Men's Facial Special. Taking advantage of these specials is a great way to get to know all of the great things that they offer. With so much to do all over the Villages of Citrus Hills this month, our members are all going to be very busy. Make sure that you take some time to enjoy all that the community has to offer. Have you noticed that there have been spring football games on TV this year? Our desire to see gridiron action all year round is finally coming true thanks to the brand new AAF, and we are in a prime spot to witness this new league with nearby Orlando getting one of the eight inaugural franchises. If you are a football lover that is looking for a team to root for this spring, the Orlando Apollos are interested in giving you that opportunity. And it looks like they are going to end up being pretty good, so we will have lots to root for here at the Tiki Bar. The AAF is the American Alliance of Football, and it was founded by television producer Charlie Ebersol and former NFL executive Bill Polian. Former players Troy Polamalu, Hines Ward, and Justin Tuck are also heavily involved in the new league, which officially kicked off on February 9 of this year. While it was initially conceived as a competitor to the NFL, much like the XFL positioned itself, the AAF has since evolved to see itself as a minor league for the NFL. There have already been discussions about the NFL loaning out some of its younger players to the AAF in hopes of developing them faster. Do I Know Any Apollos? The brand new AAF wanted to make a big splash when they announced that the Orlando Apollos would be their first franchise, and they did that in April of 2018 by unveiling that Florida legend Steve Spurrier would be their first head coach. That's right, the "old ball coach" is back in business. In addition to Spurrier, football fans will certainly recognize names like Bob Sanders, Donnie Abraham, and Lito Sheppard coaching on the defensive side of the ball. When it comes to the players in the huddle for the Apollos, quarterback Garett Gilbert has been lighting up the scoreboard throwing to his favorite target, Charles Johnson. And then there is the running back tandem of D'Ernest Johnson and De'Veon Smith churning up yardage on the ground. With only one loss in their first six games, the Orlando Apollos are already the class of the AAF. That means that they are well on their way to making an appearance in the four-team playoff set to happen this April. The Apollos offense has proven to be the best in the league thus far, and the defense is currently ranked as the second-best unit in terms of yards allowed. The Apollos are scheduled to host their final two games of the inaugural season at Spectrum Stadium in Orlando on Saturday, April 6 and Sunday, April 13. The April 6 contest will be against the San Diego Fleet, then the April 13 regular season finally will take place against the second place Birmingham Iron. Following the regular season, there will be a four-team playoff starting on Sunday, April 21 and concluding with a championship game on Sunday, April 27. And unless something goes terribly wrong in the next four weeks, Coach Spurrier should have his team in the hunt for the first ever AAF title. Not only are we blessed to have a new football team competing right down the road in Orlando, we are also fortunate that the team is playing extremely well to start the season. If you are looking for a fun weekend activity to keep you busy over the next few weeks, start following the Apollos and get excited about the AAF! As the first two months of 2019 slide into our rear view mirrors and we move into the spring months, now is as good a time as ever to embrace some of the many outdoor activities that you will find happening in and around the Villages of Citrus Hills. If you have been thinking about trying your hand at a particular outdoor activity this year, there is no time like the present to get the ball rolling in that direction. And even if you aren't sure exactly what activities might be a good fit for you, we can still help you find plenty of exciting things to do outside this spring. Deep sea fishing is one of the most popular outdoor activities among people who vacation in Florida, but it tends to be far less popular among residents. That doesn't necessarily have to be the case. There is no reason that local residents looking to get outdoors for a few hours can't snag a charter out of Tarpon Springs and head out for a day of fishing on the open seas. The Citrus Hills Vacationers Club is actually making deep sea fishing even more accessible by planning Deep-Sea Fishing Excursions. The first event was yesterday and was sold out. These excursions include just about everything you will need for a life-changing eight-hour fishing adventure. The Vacationers Club is also planning multiple trips to Tampa Bay Downs to enjoy their live outdoor horse races. There are still tickets left for the second trip on Saturday, April 27. Placing a few bets on the ponies and then kicking back to watch them run is a great way to get outdoors and enjoy the spring weather without worrying about participating in anything too strenuous. Speaking of activities that aren't too strenuous, if you have been thinking about trying your hand at pickleball, this spring is a great time to get outdoors and do just that. This slightly less intense and significantly more fun version of tennis continues to grow in popularity all over the country, and especially here in Florida. One of the best ways to get involved in the pickleball community here at the Villages of Citrus Hills is to join the Pickleball Club, and you can find more information about that over at the Activity Center. Another activity that might jump out at you while looking through the list of Activity Center Clubs is bocce. We have SEVEN different bocce clubs that meet here on a regular basis, so just about everyone can find a group that fits the skill level they are looking for. We make a point to highlight the free golf and tennis clinics every month in our Activities & Events blog, and those clinics are another fantastic way to get yourself involved in outdoor activities this spring. No matter what your skill level happens to be on the driving range or the tennis court, everyone is welcome to come work on their game at these clinics while also getting outside to enjoy the fresh Florida air. The Activity Center Pool also offers a great way to get outside in the spring months. There are fitness classes held there every weekday morning at 10:15 am, and all members are welcome to attend. Mondays, Wednesdays, and Fridays are Aqua Tone classes, while Tuesdays and Thursdays are reserved for Deep Water Aerobics. Whether you are looking to hit the open seas with a massive fishing pole or just toss around some bocce balls, there are plenty of great ways to get yourself outdoors in and around the Villages of Citrus Hills this spring. What outdoor activities are you most interested in? The Tampa Bay Rays generated some interesting conversations when they started utilizing their "opener" strategy early on in the 2018 campaign. Over the course of the season, that revolutionary approach to the game propelled the Rays to an astounding 90-win season. That unique strategy will be making a return to Tampa Bay in 2019, as will nearly all of the key pieces from that 90-win season. And when you factor in some of the new additions and young arms returning from injury, expectations are higher than ever for the Rays this summer. If you are looking to join in early on what could be a playoff caliber baseball team, we have all the key information you are going to need to know about the 2019 Tampa Bay Rays. The key in 2018 was the emergence of Blake Snell as a true ace pitcher. Not only was Snell the best pitcher on the roster in 2018, he was also the best pitcher in the American League and comes into 2019 as the reigning A.L. Cy Young Award winner. Snell will benefit from the support of a strong defense that is anchored by centerfielder Kevin Kiermaier, who might be one of the best defensive players in the majors. In addition to Snell's pitching and Kiermaier's defense, Rays fans can expect to see plenty of pop in the middle of the batting order thanks to slugger Tommy Pham, who was acquired from the St. Louis Cardinals right at the trade deadline last season. The Rays also acquired pitcher Tyler Glasnow from Pittsburgh at the deadline, and his improved command produced impressive results down the stretch. If he can build on that success moving forward, we can expect a solid year from him in 2019. In order to build on their successful 2018 season, the Rays made some moves to improve their roster during the offseason. The biggest of those moves was inking pitcher Charlie Morton to a two-year deal. Morton will slot in right behind Snell as the number two starter. Another free agent acquisition that could make an impact is the addition of Avisail Garcia on a one-year deal that is laced with incentives. Garcia is a proven major leaguer who was an All-Star in 2017, so there is plenty of reason to believe he can contribute in a meaningful way. The front office was also active on the trade market during the winter, which resulted in the acquisition of catcher Mike Zunino from Seattle and infielder Yandy Diaz from Cleveland. Zunino brings a big bat to the middle of the Rays order, and Diaz is someone the Rays have liked for years. In addition to a solid core and some key additions, the Rays are also going to benefit from the return of a number of young pitchers throughout the season. Pitchers Brent Honeywell, Jose De Leon, and Anthony Banda are all scheduled to make their return from Tommy John surgery at some point during the year. All three have the ability to earn a rotation spot upon their return, which could eventually make the "opener" strategy unnecessary. Barring any significant injuries, the 2019 Tampa Bay Rays are going to be a force to be reckoned with in the American League. And while they might not be talented enough to take on the Yankees and the Red Sox for the A.L. East pennant just yet, they are almost certainly going to be a serious contender for one of the two Wild Card spots. There are going to be a lot of very exciting games happening at The Trop this year, so make sure you plan on heading down to see the Rays as much as possible. While March Madness is most commonly meant to describe the wild action of the annual NCAA Men's Basketball Tournament, it is also a fitting description for everything happening around the Villages of Citrus Hills this month. The folks at the Activity Center are really pulling out all of the stops to keep us all moving as we officially head into Spring 2019. Whether you’re looking for fun social events, exciting learning opportunities, competitive sporting competitions, or delicious dinner specials, you can find all of that and more around our community this month. Let's jump in and take a closer look as some of the events you are going to want to mark on your calendar. A favorite local rock band, Rocky and the Rollers, will be performing in the Hampton Room for the Sock Hop on Tuesday, March 5. This dance party will feature a cash bar, and themed dress is encouraged but not required, so don't hesitate to break out those leather jackets and poodle skirts. One social event that will be taking place outside of the community this month will be the Deep Sea Fishing Excursion to Tarpon Springs on Sunday, March 10. This trip will take members out on a massive 85-foot cruiser for some of the best fishing in the world. You won't want to miss the Dinner Show with Marc Black the following week on Tuesday, March 12. Learn the history of music with the award-winning musician who toured with the Doors, Van Morrison and more. The dinner will include Caprese-Stuffed Chicken and Roast Pork Loin Dijonnaise. All of our local trivia junkies will be back in action for Tasty Trivia Tuesday on Tuesday, March 19. This month's theme is "movies," and the dinner will feature London Broil with Mushroom Sauce and Baked Haddock. Steven Davis will be the speaker for this month's Florida-Friendly Landscaping Seminar on Thursday, March 14 at 1 pm. Steven is the Florida-Friendly Landscaping Coordinator for the Citrus County Department of Water Resources, and he will be leading a discussion on how to incorporate Florida-friendly landscaping practices into your yard. Doc Talk will also be back this month with a lecture from Dr. Gerilyn E. Cross in the Activity Center Auditorium on Wednesday, March 27 at 6 pm. Dr. Cross will be presenting a wide range of information concerning hormone health and how it relates to different types of diseases. Local crafters will have their creations on display at the Spring Farmers' Market & Craft Fair on Sunday, March 31 from 10 am to 2 pm in the Activity Center Parking Lot. This is one of the can't-miss attractions each and every year. Gourmet foods, craft and live entertainment by Mark Welzel. This month's golf calendar is going to start out with a fun one when the Four-Leaf Clover Open gets going on The Meadows course at 8:30 am on Saturday, March 2. Everyone involved will get to play their round and enjoy lunch afterwards. Things will get much more competitive on March 6 and 7 when the 2019 Skyview Ladies' Club Championship tees off. This two-day stroke play event will be flighted by handicaps and is open to all female Skyview Golf Members. The Citrus Hills courses will be hosting their own competitive event later in the month with the Citrus Hills Couples Championship on March 14 and 15. This will be a 36-hole better hall tournament open to all Citrus Hills gold and social members. The Skyview Tennis Center is also going to be busy this month, and that will start with their Free Beginner's Tennis Clinic on Tuesday, March 12 at 11 am. Then there will be a Spring Break Tennis Social on Sunday, March 24 that will include mixed doubles from 1 pm to 3 pm followed by lunch and beverages. Skyview Restaurant is pulling out all the stops with their dinner specials this month. You can enjoy an Asian Night Buffet on Tuesday, March 5, Lobsterfest on Saturday, March 9, an American Wine Dinner on Monday, March 11, and Foods of the Forgotten Coast on Thursday March 14. There will also be a St. Patrick's Day Dinner at Skyview Restaurant on Sunday, March 17 that will feature Slow-Cooked Corned Beef and Cabbage, Baked Cod, Irish Bangers and Mash, and Stout Braised Lamb Shanks. The Grille will also be going all out for St. Patricks Day with specials like Irish Stew, Black and Tan Pork, Corned Beef & Cabbage, Scallop Pie, Roasted Lamb Shanks, and Lamb Shepherd's Pie. And if you happen to find any quiet time for yourself during this busy month, you should also plan on heading down to BellaVita Spa. They will be running a 24 Karat Gold Revitalizer Facial and a Wrapping-Up Winter Massage Special this month. With so much to do this month, you’ll have to pick and choose which events are the ones that deserve a spot on your calendar. Good luck deciding, and have fun at whichever activities you choose to attend! 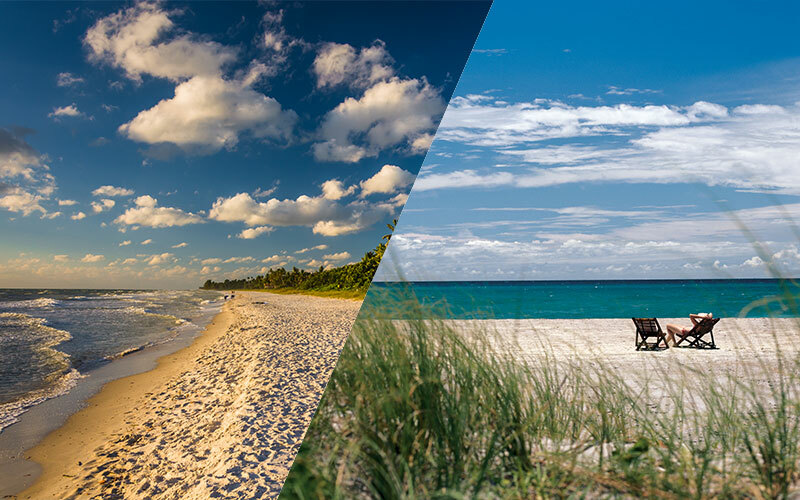 Residents here at the Villages of Citrus Hills typically feel that the Gulf Coast offers the best version of the Florida retirement lifestyle, but that doesn't mean that a weekend trip to the Atlantic Coast isn't warranted every once in a while. With its crashing waves and laid-back atmosphere, New Smyrna Beach is the perfect destination for Gulf Coast beach bums looking to head east for a relaxing weekend getaway. If that sounds like your idea of a good time, this is our best advice for making the most out of your trip. TripAdvisor.com doesn't always get it right in their rankings of the best hotels in a particular area, but we think they are right on the money in having The Black Dolphin Inn ranked at the top of their list for New Smyrna Beach. This stunning bed and breakfast will cater to your every need and have you staying right near all of the action downtown. If staying on the beach is more of a priority for you, then the Atlantic Plaza comes highly recommended in New Smyrna Beach. These oceanfront condos will have you sleeping within steps of those famous Atlantic Ocean waves. The beach is one of the popular tourist attractions in New Smyrna Beach, and we highly recommend planning to spend the bulk of your weekend enjoying the warm waters of the Atlantic Ocean. You will find that surfing, boogie boarding, and body surfing are all popular here, but strolling through the sand looking for shells can be just as enjoyable if you don't want to get wet. In between beach sessions, you will also want to check out some of the many local art galleries that you will find around town. 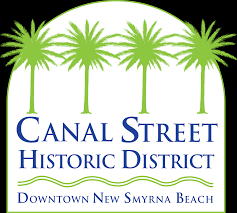 New Smyrna Beach is known as a "small art town," which means that there are lots of independent local artists that have come together to create a very unique cultural community. In keeping with the theme of everything else, you will find the restaurant scene offers a fantastic selection of casual restaurants serving up world-class food paired with some truly outstanding wine lists. One of the popular restaurants is SoNapa Grille, which is known for their Lobster Bisque and their wine list, but won't disappoint you with anything in between those either. Other popular restaurants include The Garlic, which has a special approach to all of your favorite garlic-forward dishes, and Norwood's Eatery & Treehouse Bar, which is definitely one of the coolest destinations in town. 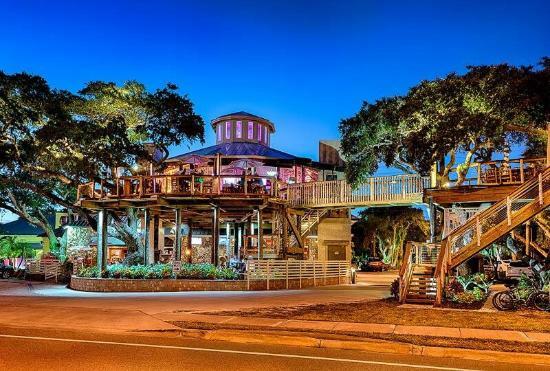 This is just the tip of the iceberg of the fantastic dining you will find in New Smyrna Beach, which makes this a perfect destination to revisit. With fantastic restaurants, first-class lodging, and one of the best beaches you will find along the Atlantic Coast, there is no reason not to make the two-hour drive for a weekend getaway as often as you can. When are you going to be taking your next trip? Between Groundhog's Day, the Super Bowl, and Valentine's Day, the month of February is already filled with all kinds of exciting events, but we are adding even more fun to the mix this month here at the Villages of Citrus Hills. In addition to those standard holiday events, we are also filling up our calendar with all kinds of social events, competitive sports, and great dinner specials. Let's take a look at some of the biggest things happening around the community in the month of February. If you have been thinking about getting involved in one of the many Activity Clubs that meet all over the Villages of Citrus Hills you will definitely want to attend the Activity Club Showcase in the Activity Center Auditorium on Sunday, February 3 starting at 1 pm. More than 50 of our most popular clubs will be set up there discussing the things that their members are passionate about. Lunch & Learn will be back on Tuesday, February 5 with Sabrina Watson talking about the basics of essential oils and how you can use them for health support, food flavoring, and aromatherapy. Lunch for this event will include a BLT with Avocado in a wrap and Potato Salad. The meal will be much more substantial when the Shabbat Dinner Club meets in the Garden Room on Friday, February 8 starting at 5:30 pm. This meal will feature Sliced Sirloin and Broiled Salmon along with Garden Salad, Parsley Steamed Red Bliss Potatoes, Glazed Baby Carrots, and Cake. The most hysterical dinner in February will almost certainly be the Comedy Dinner Show featuring Sonya White in the Hampton Room on Tuesday, February 12. Dinner for this event will include Boursin-Stuffed Chicken and Sliced Sirloin in Mushroom Sauce with a laugh-out-loud comedy show to follow. Mah Jongg players won't want to miss the Mah Jongg Madness Tournament in the Activity Center Card Room on the morning of Tuesday, February 19. Signups for this event are already open, and seating is limited to 13 tables of four. Tuesday, February 19 will also be the date for this month's Tasty Trivia Tuesday in the Hampton Room. The theme this month is "science" and the menu will include Pot Roast and Chicken Maryland. Golfers can celebrate Valentine's Day on Groundhog Day at the Citrus Hills Valentine's Open on Saturday, February 2. This fun tournament will kick off on The Meadows Course at 8:30 am and entries will include drinks and lunch. Following the Valentine's Open, the competition is instantly going to heat up with the Skyview Men's Senior, Super Senior, Legends, and Super Legends Tournament on February 4 and 5. That will then be followed by the 2019 Citrus Hills Men's Club Championship on February 14 and 15. Of course, if you aren't quite ready to be taking on the best golfers in our community, you might want to think about joining the "Newbie" Nine-Hole Golf League that plays every Thursday or attending one of PGA Teaching Professional Mary Slinkard's Free Golf Clinics this month. Anyone looking to get involved in the Skyview Tennis Center community this month can learn more about everything that happens there by participating in the Free Beginner Tennis Clinic on Tuesday, February 12 at 11 am. You don't even need to own a racket in order to come play! The dinner specials are going to revolve around the major holidays this month, and that is going to start off with the Groundhog Day Specials running all day at Skyview Restaurant on Saturday, February 2. If the groundhog sees his shadow, the special will be 2 for 1 drinks. And if he doesn't see his shadow, all bar menu appetizers will be buy one, get one half off! Things will be even wilder at the Tiki Bar this weekend as they host their annual Super Bowl Party on Sunday, February 3. They'll have the big game on all of their TVs and are planning a fun tailgate menu that they will be serving from 3 pm to 8 pm. If you are looking for a special meal on Valentine's Day, you will have plenty of options to choose from between Skyview Restaurant and The Grille. Skyview Restaurant will be serving an elegant meal for two that will be accompanied by live jazz music, and The Grille is planning a fancy a la carte menu with live entertainment by Jack Dempsey. Still looking for more ways to fill up your February calendar? Make sure that you find time to stop by BellaVita Spa for the Facial Spa Special and the February Bouquet Massage that they are going to be featuring this month. Between all of the fun social events, the competitive golf tournaments, and the holiday-themed dinner specials, this is going to be a busy month here at the Villages of Citrus Hills. We can’t wait to see you enjoying these activities and events! The new year has officially arrived, and we are planning to make 2019 the best year ever here at the Villages of Citrus Hills. With all of the holiday fun in our rear view mirror, the folks at the Activity Center are planning on rolling right back into all of our regularly scheduled monthly activities and events. Whether you are looking for fun social events to meet new friends, fascinating educational talks, competitive golf and tennis, or just a great meal in the month ahead, we have got you covered with all of the biggest and best things that you definitely want to have on your calendar. The first big event of the new year will be the return of Tasty Trivia Tuesday in the Hampton Room on January 15. The theme for this month's questions will be "World History," and the buffet will feature Meatloaf, Chicken Cordon Bleu, Mashed Potatoes, and Corn O'Brien. There will be another game show style event in the Hampton Room the following Tuesday with a Name That Tune Dance. This January 22 event will feature a fun combination of game show excitement and dancing fun. Then the final social event of the month will be a Dinner Show and Dance on Thursday, January 31 in the Hampton Room. This party will include a full buffet dinner with Bourbon Pecan Chicken and Baked Ham with Pineapple Raisin Sauce followed by a dance party featuring everything from rock and roll to swing and soul. The first big event of February will actually be one that can help fill up your calendar for the rest of the year. There will be an Activity Club Showcase featuring more than 50 of our most popular clubs in the Activity Center on Saturday, February 3. If you are interested in getting involved with any of the Activity Clubs, this is the best place to introduce yourself. The Healing Power of Music will return to the Hampton Room on Wednesday, January 9. This is an evening seminar with Gayle Cohen that includes a fascinating talk about starting the year off on a positive note…and there's a cash bar! Sliced Roast Beef Wraps and Pasta Salad served. The Activity Center will be hosting another DocTalk event on Monday, January 28 featuring Dr. Gerilyn E. Cross talking about Biodentical Hormone Health. Competitive golf is also going to be getting off to a hot start in 2019 with the Citrus Hills New Year's Open on Saturday, January 5. That fun competition will then be quickly followed by the Skyview Men's Match Play Championship on January 7 and 8. January will also be a busy month for the women golfers in our community with The Oaks Course hosting the Ladies' Winter Invitational on Friday, January 11 and the Ladies' Citrus Cup Club Championship on Friday, January 18. If you made it your New Year's resolution to get more involved with golf or tennis here at the Villages of Citrus Hills, you can do just that by signing up for the Newbie Nine Hole League that plays every Thursday on The Meadows Course. You could also plan on attending the Free Beginners Tennis Clinic at the Skyview Tennis Center on Tuesday, January 8.
their Skyview Anniversary Celebration on Saturday, January 19. There are also some exciting dinner specials in the works at The Grille this month. They are planning a Comfort Food Family Feast on Sunday, January 6 and a Post-Holiday Blues Wine Party on Thursday, January 17. In between all of the fun social events and competitive activities, you might also want to block off some private time for yourself this month, and BellaVita spa is definitely the place to do that with their Cranberry Enzyme Facial and Vanilla Wild Plum Ultimate Spa Pedicure specials all through January. With all of the fun things to see and do around our community this month, there is no reason for anyone to suffer from any type of post-holiday depression. The only thing to get down about here is that there are too many things to do and not enough time in the month! Whether you’re ready for it or not, 2019 has arrived, and we are all planning for it to be the best year ever here at the Villages of Citrus Hills. And if you have not yet committed to picking a resolution for the new year, we have put together a few Citrus Hills themed suggestions that will help you get more out of your fabulous life here along Florida's Nature Coast. Spending more time with friends and neighbors is one of the most popular New Year's Resolutions here at the Villages of Citrus Hills, but we suggest taking that idea one step farther and committing to attending more of our regular social events throughout the year. There are dozens of fun and exciting events happening every month around the community and making a point to attend as many of them as possible is a great way to fill up your social calendar while spending quality time with friends and neighbors. In addition to attending the many social events happening around our community throughout the month, you can also spend more time with friends and neighbors by planning a regular dinner at Skyview Restaurant, The Grille, or the Tiki Bar. This can be an extra special resolution if you can get a group of friends to all commit to meeting for dinner on a specific day each month. Another popular resolution is to work on getting yourself into better shape, and there are tons of fun options to help you out with that in the form of exercise classes at the PrimoVita Fitness Center. Whether you are looking for beginner Pilates or advanced yoga, there is a class that is perfect for everybody who is looking to improve their fitness in 2019. If improving your golf game is high on your list for the coming year, a great New Year's resolution that you can make is to put a priority on getting yourself to the Skyview Driving Range more frequently. 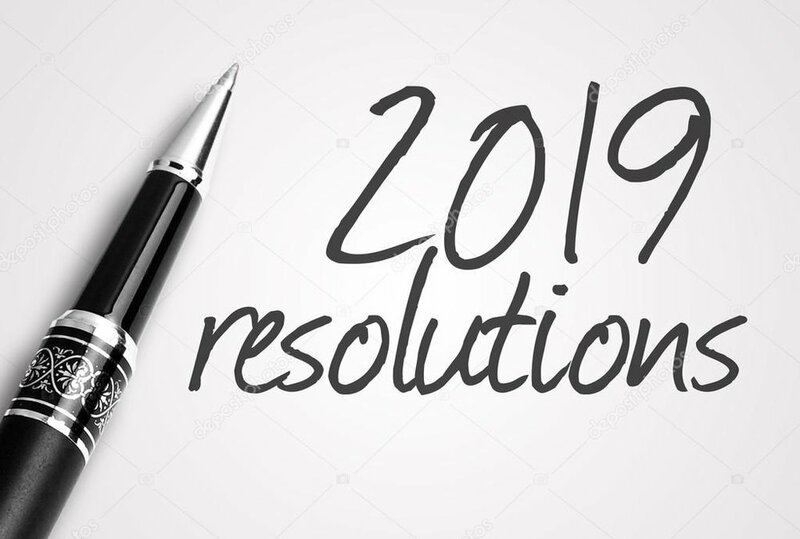 Like most resolutions, this one will be more powerful if you attach real numbers to it, so pick a specific number of times you want to hit the range each week or month and hold yourself to it. Reading more books is also a popular resolution, and the pools throughout the Villages of Citrus Hills are perfect places to kick back with a good one. The Coffee Shop is another popular spot to catch up with your reading or a friend. If you would like to bring a new hobby into your life this year, there are quite a few excellent clubs to choose from that meet regularly all over the Villages of Citrus Hills. We have everything from Bocce to Wood Carving, and all you have to do is call up the club leader for more information. For members who are looking to add a little more excitement to their lives in 2019, we recommend checking out some of the exciting trips that the Citrus Hills Vacationers Club has planned for the coming year. And if you can't find anything there that excites you, there are dozens of day and weekend trips that we have profiled on the blog over the years. You can't put it off any longer. 2019 has arrived, and just like 2018 it will fly by before you know it. Make sure you get the most out of the new year by making a resolution to take advantage of all that there is to see and do here at the Villages of Citrus Hills! With its location right in the middle of Florida's Nature Coast, Citrus County is one of the best places in the entire world for nature-lovers who are looking to hit the trails and take in the scenery. And one of the ways to get started doing just that is to participate in the monthly naturalist-guided bird walks at Fort Cooper State Park. 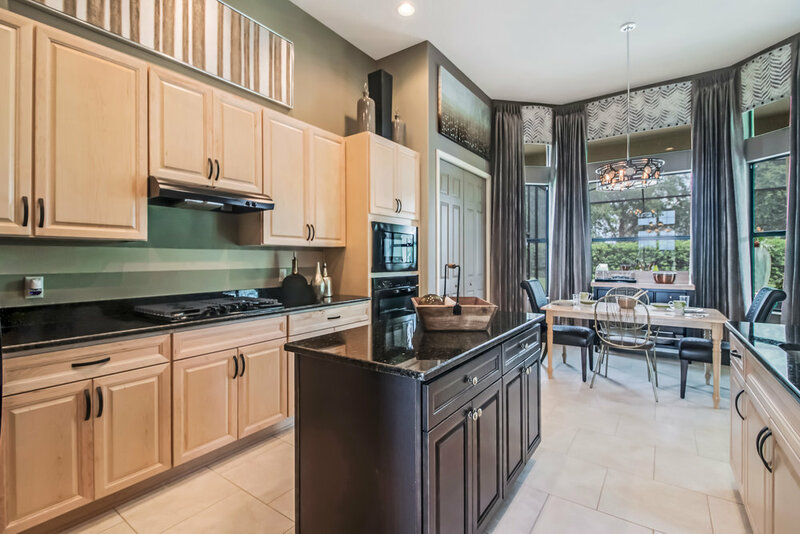 Because the park is only a quick 20-minute drive from the Villages of Citrus Hills, it is considered "home base" for many of the nature lovers that call our community home. It is also "home base" for a local expert who makes herself available to guide and teach on the second Tuesday of every month from December through May. Dee Bolton is a member of the National Audubon Society, and she has been studying birds and wildlife across the country for the better part of her life. After spending time in Colorado, California, Arizona, Minnesota, and Key Largo, she has migrated to The Nature Coast where she has worked as a guide at Three Sisters Springs, Crystal River National Wildlife Refuge, and Fort Cooper State Park. With that wide breadth of experience under her binoculars, Dee is one of the most knowledgeable guides you will find anywhere in the Sunshine State. Her birding walks at Fort Cooper State Park start at the lake at 8:30 in the morning, and allows everyone attending to appreciate a diverse collection of winged wildlife. With the walk starting along the shores of Lake Holathlikaha, visitors are likely to spot water-loving birds like Green Herons, Snowy Egrets, Wood Storks, White Ibises, and Sandhill Cranes. Then, as they make their way around the Sandhill Loop Trail, bird lovers will be on the lookout for Bachman's Sparrows, Hairy Woodpeckers, Great Crested Flycatchers, and Common Ground-Doves. This is also an area where you might catch a glimpse of a Sherman's Fox Squirrel or a Gopher Tortoise. As Dee leads visitors further back into the woods, they will be looking for songbirds like Magnolia Warblers, Hooded Warblers, Red-Eyed Vireos, Yellow-Billed Cuckoos, and Grey-Cheeked Thrushes. And at the deepest parts of the walk, they might even see an Eastern Screech Owl, Barred Owl, or Chuck-Will's-Widow. Like any fun activity, birding is going to be much more enjoyable if you have the necessary equipment. But unlike some of the more complicated ways to spend your time out in the woods, the tools required here are relatively simple. All you need is a comfortable pair of shoes and maybe a set of binoculars. If you are looking to take your birding to the next level, you might want to invest in a reliable guidebook, and you could always spring for a nicer pair of binoculars. Assuming you are already planning to dress according to the weather, that is all you need for a successful birding walk. Whether you are an experienced bird watcher or someone who is just thinking about getting into it for the first time, the Birding with a Naturalist events at Fort Cooper State Park are the perfect way to get your feet wet without having to venture too far from home. See you at the park! It's the most wonderful time of the year here at The Villages of Citrus Hills, and we are rolling right into a jam-packed month of December that is going to be filled with all kinds of holiday fun. Whether you are looking for fun things to do with friends and family, opportunities to get out and learn something new, a little competition, or just a great meal, we have the best of the best activities and events happening around the community this month. The first big event of the month will be the Hanukkah Party on Tuesday, December 4 in the Hampton Room. This special party to celebrate the festival of lights will feature tray-passed hors d'oeuvres, a Mediterranean platter, and a pasta bar. On Monday, December 10, the Citrus Hills Vacationers Club will be taking a group down to Tampa to see our Lightning host the New York Rangers at 7:30 pm. Tickets for this event are $145 per member, and that includes great seats and round-trip transportation. down to Skyview Restaurant for an awards banquet. And the only reason that the Golf Cart Parade is the second biggest social event of the month is that there will be an even bigger party happening in the Hampton Room on New Year's Eve. Tickets are still available for this fun evening that will include appetizers, a full dinner buffet, live music, and a champagne toast at midnight. The Citrus Hills Speaker Series will be back in the Activity Center on Friday, December 7 when we will be welcoming Veteran Frank Jolliff. He will be discussing the book he published about his time in Vietnam starting at 5:30 pm. On Wednesday, December 19, Steven Davis will be discussing Florida-Friendly Landscaping in the Activity Center as part of the Citrus Hills Seminar Series. Everyone who attends the event will learn all of the basics of landscaping practices that work best here in Florida. Looking ahead to January, Gayle Cohen will be returning to lead a regular seminar discussing The Healing Power of Music and how you can use her tips to lift and heal your body, mind, and spirit. Most golfers tend to slow down a bit over the holidays, but this can actually be the perfect time to work on your game in between the two halves of our season here at The Villages of Citrus Hills. So, make sure that you are still booking your tee times! The two big golf events this month will be the St. Nick Open at The Oaks course on Saturday, December 8 and the Husband and Wife Championship at Skyview on Monday, December 10. In addition to those fun tournaments, there is a new "Newbie" Nine-Hole League starting up on Thursdays at The Meadows course, and PGA Pro Mary Spinkard will be hosting her usual Free Golf Clinics throughout the month. December is also a great month to get involved at the Skyview Tennis Center, and they will be hosting a Free Beginner Tennis Clinic on Tuesday, December 11 at 11 am. There will be a sale on all tennis apparel at the Skyview Tennis Center throughout the month of December. Holiday Party on Tuesday, December 11. Both events will feature holiday themed buffets. Members will also want to hit The Grille on Saturday, December 15 for their Ugly Christmas Sweater Party. In addition to great food and drink specials, there will also be a holiday sing-a-long and some special surprises. And, if you are looking to pamper yourself during the holidays, BellaVita Spa has December specials like a Perfect Appearance Dermalife Facial, a Cranberry Spa Pedicure, and a Holiday Massage Special. It doesn't matter which events you are most excited for this month; the important thing is that you make a point to enjoy them and spend as much time as possible with friends and family. Have a great month and we'll have more events from the Activity Center staff in the New Year! While many people think of St. Petersburg as an extension of Tampa, local residents will tell you that this fun-filled city has a personality that is all its own. It also has plenty of things to do, which makes it an excellent day trip option for residents here at the Villages of Citrus Hills. planning an exciting getaway, we have taken care of all the details for you and put together a choose-your-own-adventure style trip to St. Pete. Let's dive in and check out some of the options! Depending on what time you leave, the hour and forty-minute drive will probably have you arriving in St. Petersburg with a few hours to kill before lunch. We recommend starting off your day with a little bit of culture at one of the many art galleries and museums that the city has to offer. Three of the most popular options for this part of the trip are the Duncan McClellan Gallery, the Ted Williams Museum, and the Salvador Dali Museum. Each offers a slightly different type of cultural experience, but all three are highly recommended attractions in St. Pete. For lunch, we are heading over to the EDGE District to check out a little place called Bodega. St. Pete residents can't get enough of the Cuban-style food you will find here, so make sure you try one of their soon-to-be-world-famous sandwiches. Bodega is also known for having outstanding Cuban coffee and some of the best fresh juices in the city. After lunch, it's time to get outside at places like Fort De Soto Park and Boyd Hill Nature Preserve. If the beach is your happy place, then Fort De Soto Park could be your own personal paradise in St. Petersburg. This stunning county park includes five islands to explore by canoe, kayak, or bicycle. There is also a historic fort and museum that appeals to all of those history buffs out there. For anyone who is more interested in wildlife, Boyd Hill Nature Preserve offers a lake, marsh, swamp, and woods that are filled with a wide range of animals from the land, air, and sea. There is also a Pioneer Settlement living history museum for visitors to explore. After having some fun getting close to nature, it's time to ratchet that excitement level up a notch and get out on the water. One of the most popular boat tours in the area is St. Petersburg Speedboat Adventure, which offers a 2-hour self-drive speedboat tour for two passengers in the same boat. You will have an absolute blast cruising up and down Tampa Bay in these little boats. For day trippers who are looking for something a little more upscale out on the water, you could skip the speedboats and charter a private yacht from Tampa Bay Yacht Charter that will have you cruising Tampa Bay in style before dinner. Dinner at Brick & Mortar is the perfect way to wrap up a fun day exploring the sights and sounds of St. Petersburg. This fun and innovative restaurant will astound you with a wide range of small and large plates that are perfect for sharing. We recommend getting a few things that are inside your comfort zone and then getting wild with a few dishes that might be pushing your boundaries a bit…and don't forget to order the truffle fries! There is a good chance that you are going to be completely exhausted after all of this fun in St. Pete. But we are just scratching the surface with everything that there is to do here in the Sunshine City, so it won't be long before you are planning another trip with a brand-new itinerary! Florida is a big state with a wide range of different options that appeal to different people for different reasons. But if you are considering relocating to the Sunshine State, Citrus County, which just so happens to be the home of the Villages of Citrus Hills, presents one of the best options you could choose for a number of reasons. Residents of Citrus County are in a position to enjoy all of the best aspects of Florida at the same time. They get to experience the famous Florida climate. They are right next to the Gulf Coast, while still not too far from the Atlantic Coast. Great cities like Tampa, Orlando, Ocala and Gainesville are just a short drive away, and the entire region is filled with amazing state parks and forests. Let’s take a closer look at some of the most significant benefits of living in Citrus County. Many people who relocate here don’t realize that Citrus County covers approximately 700 square miles, of which more than 152,000 acres are set aside as public and protected land. Half of the county is a protected area that will never see any type of construction. This assures residents that Citrus County will never suffer from becoming overbuilt the way other parts of Florida have. One of the main reasons people move to Florida is the year-round sunshine. In a state known for great weather, Citrus County has Florida’s best. Unlike humid South Florida, the region surrounding the Villages of Citrus Hills doesn’t have the Everglades water effect. We instead sit on the Central Ridge. At 260 feet above sea level, the Villages of Citrus Hills benefits from the breezes off the nearby Gulf of Mexico, keeping the climate temperate all year round. Citrus County’s year-round average is about 72 degrees with 65 percent humidity. In fact, comfortable days are the norm. We enjoy 274 days a year in the temperature “comfort zone”, which falls between 65 and 75 degrees. It also means you won’t spend the whole summer hiding from the heat in your air-conditioned home. Beautiful weather isn’t just a perk; it will improve your quality of life. From the historic sites of the Second Seminole War to the shell mounds of ancient natives, Citrus County is packed with tons of great history and plenty of places to learn all about it. The county also has a long history of producing outstanding thoroughbred horses, including multiple Kentucky Derby champions. Like all Florida residents, those living in Citrus County are not subjected to any state income tax. However, unlike some of the more urban parts of the state, Citrus County residents enjoy a relaxed atmosphere where they don’t have to worry about gouging prices that you might find in many popular tourist areas. The cost of living is very reasonable in Citrus County. Whether you are looking for large state parks, great walking trails built from abandoned railroad lines, or small community parks that offer some of the best sunset views you will find anywhere, Citrus County has them all. There are a number of different parks and trails throughout the county that all offer their own unique version of nature in Citrus County. Another advantage that the geographic location of Citrus County offers is that residents are within a short drive of quite a few different “Old Florida” towns that all make for great day trips. Many of these small towns have great historic shopping districts, outstanding restaurants, and plenty of history and art museums. Living in Citrus County places you right in the heart of the Gulf Coast Lifestyle. Fishing, boating, and sunbathing at the beach will all be only minutes away. You can also participate in popular local activities such as scalloping, catching stone crab, or swimming with the manatees. 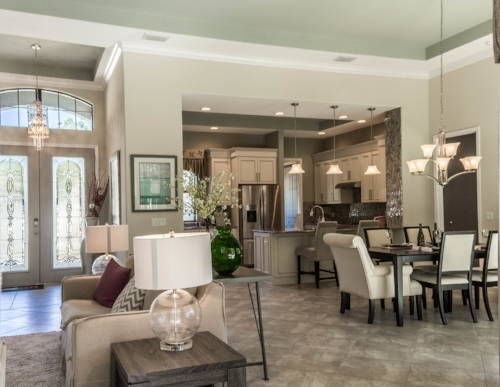 While the communities of Citrus County are known for their small-town environments, the big-city lifestyle is never very far away with both Tampa and Orlando being only a short drive away. This gives Citrus County residents access to great shopping, cultural events, and professional sports teams that many people like to experience from time to time. As you can see, Citrus County is one of the most optimal locations for an active adult lifestyle in Florida. Make sure to include a tour through Citrus County and the Villages of Citrus Hills on your next trip to Florida so that you can see the area for yourself. Who knows you may decide to call us home!